﻿This week’s blog is about celebrating the people that make your life easier. Right now I’m sure you’re crazed with finding the perfect Christmas gifts for your kids, your spouse and your family. You probably also have a serious case of “swiper’s wrist” from all the Pinning you’ve been doing to plan your menus and prepare your house for when your family arrives. But inevitably you’ll realize (somewhere around December 18th) that you still have a slew of gifts to buy for your assistant, your babysitter, your kids’ teachers, your milk man, the UPS driver, your neighbor or any other casual acquaintance that pops in with an unexpected gift…that naturally you were planning to reciprocate, right? Well, we’re here to make your life easier (and a full 3 weeks before Christmas!) Here is a list of our top 10 gifts ranging from $20 – $65 that are perfect for the team of people that make your life run smoothly! 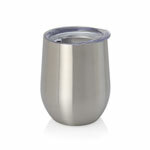 Insulated Stemless Wine ($22): This has been a top-seller this year (seriously, we can hardly keep them in stock.) Include a bottle of wine and you’ll be the teacher’s best friend! 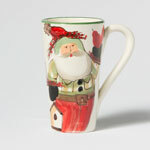 The Old Saint Nick Latte Mug ($52): Hand-crafted in Tuscany and brimming with old world holiday charm. Throw in a coffee house gift card and your assistant will never be more productive. 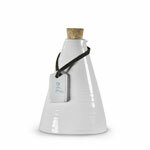 Ceramic Oil Cruet ($38): Hand-crafted by ceramic artisans for the foodie in your life. Whose counter wouldn’t look a little cooler graced by its contemporary vibe? Marble & Wood Paddle Board ($42): Perfect for serving appetizers and cheese, these stylish boards are great for the hostess or the gourmet. Melamine “Paper” Plates ($22): This darling 4-pack of plates is just begging to be loaded-up with cookies and passed out to neighbors, delivery drivers and friends. Did someone say, cookie exchange? 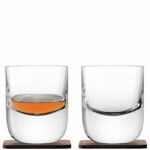 Double Old Fashion Glasses (set of 2 $65): For the cocktail enthusiast or the perfect men’s gift, these mouth-blown glasses come beautifully gift boxed with companion walnut coasters. 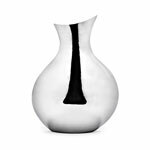 Mirabel Mini Vase ($40): You know that friend with the impeccably decorated house, the one who is so hard to buy for? Our hand-hammered, stainless steel vase is the answer. 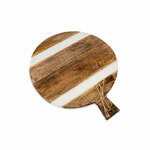 It’s sleek and stylish and looks great mixed in with any décor style. 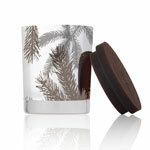 Frasier Fir Jar Candle ($23): It’s like a forest in your living room. Presented in a gorgeous metallic jar, this candle burns with the scent of fresh-cut forest. This is the perfect little gem to have stashed in your gift closet for those unexpected gifters. 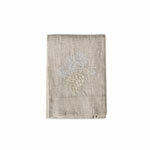 Linen Holiday Tea Towels ($24): Crafted of 100% European linen and beautifully embroidered with holiday emblems, our tea towels make a perfect gift for the hostess with the mostest. 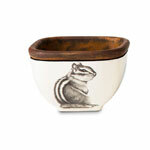 Laura Zindel Square Bowls ($57): Because who doesn’t love a woodland creature?! Created by naturalist illustrator and ceramic artisan Laura Zindel, these charming little bowls are perfect for appetizers. We like to throw in a jar of gourmet nuts to complete the gift.